On the 26th of February to the 1st of March, 2018, the GSMA Mobile World Conference is held in Barcelona. The Zangi application of Armenian production is represented in this event. 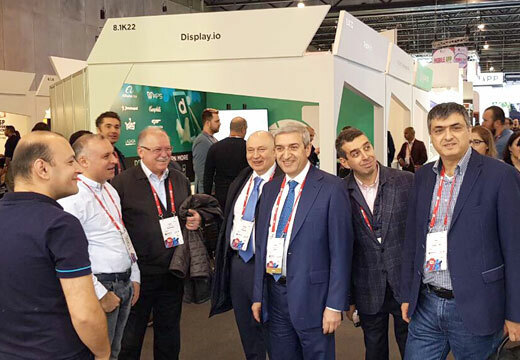 Mr. Vahan Martirosyan, Minister of Transport, Communication and Information Technologies of Armenia, visited the pavilion of the application Zangi and got acquainted with the innovations of the company. The company presents the innovative solutions and opportunities of telecommunication in the iOS, Android, Desktop and web programs.